Text for booklet accompanying Mattin and Miguel Prado’s 10CD box set Evacuation of the Voice (Fundação de Serralves). The production of subjects within the capitalist megamachine is remarkable for its powerful articulation of the two processes of social subjection and machinic enslavement.1 Operating via what Félix Guattari calls asignifying semiotics—that is, non-referential signs which do not pass via conventional symbolic (language) systems but directly affect bodies on a sub- or supra-individual level, machinic enslavement is indifferent to the inherited symbolic order, interfering with its functions and potentially threatening it with obsolescence and disintegration (deterritorialization of the sign). But what Deleuze presciently diagnosed as the ‘control society’—in which human parts are integrated via processes of modeling and modulation by way of asignifying semiotics, rather than via discipline and punishment by way of physical coercion and symbolic violence—in order to reproduce capitalist social relations, cannot do without a continually recalibrated complementary process of social subjection, decanting decoded flows back into the readymade vessels of the symbolic order. Indeed, what is notable is the plasticity that these complementary processes lend to each other: decoded machinic signs that would seem inimical to the reinscription of a stable socius are mobilized to reinvigorate obsolescent myths of individual agency; while assurances of social relation and individual expression are increasingly obtained through subscription to informatic ‘services’ for which subjects are so many atomized content-providers. The ubiquitous smartphone in many ways acts as a kind of switching station between these two processes. While ownership and operation of the device operates as an index of selfhood and identity, the original function of the telephone as acousmatic extension of discursive symbolic bonding and identity-reinforcement (monkey-chatter: ‘are you there?’ ‘I’m here’ ‘Am I still me?’ ‘You’re still you’) has gradually been sidelined by the injunction to insert one’s sensorium into a transglobal flow of continuous alerts, calls for action, polling points and pattern-precognitions, a borderline asignifying semiosis modulated algorithmically at infra-cognitive speeds, where every interaction immediately generates yet more demands for attention. While the ‘content’ resembles a high-octane remix of simian bonding, aggression, group dynamics and courtship behaviors, at the machinic level this ostensible content is a mere pretext for the transmission and reinforcement of compulsions that secure the user/worker’s involuntary absorption into the continuous profitable circulation of asignifying signs. A new set of psychopathological symptoms emerge: nervous tics, continual vigilance for red dot notification badges, compulsive re-checking and browser tab cycling; and in the auditory realm, the lab-rat shocks of ringtones, idents, bleeps and dings, an asignifying chatter that won’t let you off the hook of an endless 24/7 ‘conversation’ you don’t want to miss out on. The contrast between this multimodal harassment and the obsolete model of telephony—between the subjective intimacy of speech and listening and a machinic enslavement to triggers and alerts—relates to different modes of audition. As explored at length by Derrida and his successors, the immediacy of hearing oneself speak is the originary model for a phenomenological transparency and intimate self-presence, vouching for a subjective interiority unassailable by the empirical world, which it thus deposes into a secondary register, that of inert and lifeless space. The transparency of signification in spoken language eclipses the sonorous nature of speech, the physicality of its source and medium of transmission. In speaking to another, this shared interiority burrows under the space where the voice sounds. As we see with the telephone, even the thickness of technological mediation does not vitiate the magical immediacy of speech. The promises of Skype and Facetime in the present day—‘it’s as if you were right there’—still promise the reinstatement of presence and the disappearance of their own artificiality. What is remarkable about electronic alert signals is that they instrumentalise this ancestral ‘timidity’, this instinctual animal response, to enable symbolic exchanges that reinforce the most banal routines of subjectivity and signification (Facebook: ‘Are you there?’ ‘I’m here.’ ‘I am still me.’ ‘You are still you.’). The successful articulation of these two apparently disparate registers is the final measure of the achievement of capitalist subjectivation: these interfaces mesh with unreflective compulsive behavior verging on the addictive, while on the level of ‘content’ they reinforce the cult of individual expression and identity-formation. This is a form of subjectivation that operates both through plugging bodies into technologically decoded flows and through discursive reinforcements of the symbolic order, instrumentalizing without compunction both the manifest image of phenomenological self-presence and the scientific image of the animal body as involuntary signal-processor. It would be just as futile to believe that the capitalist subjectivation machine could be subverted through the acceleration of technological abstraction, as to take refuge from it by valorizing an unshakeable fundamental sense of self. For not only do both of these belong to its arsenal, it is nothing but the optimized and integrated double-articulation of the two: If asignifying semiotics harbor the potential to unlock affects and experiences that escape discursive overcoding, they can also become unprecedented artificial fortifications for social subjection. And if the certainty of the subject seems to offer safe harbor from the depredations of machine-space, this comfort is only a residual artefact of an interface preserved for the purposes of ‘user experience’. The outside is already inside, and vice versa, by virtue of a subjectivation-machine that both subverts and reinforces their supposed polarity (without ever perishing from this ‘contradiction’). If ‘in speaking the phenomenological body of the voice effaces itself, leaving its living trace: the reduction of all space, the despatialization of signification,’,5 how do we retrace the path, staying within the realm of the auditory, from the certainty of this spaceless disembodied interiority to the territorial vigilance of a listening that tacitly acknowledges its contingency and vulnerability, and is sited in a space menaced by the irruption of alien signals? Inversely, how did the organ of fear ever become repurposed for the comfort of phenomenological self-presence, the human security system? Can the voice, privileged instrument of a despatialized and dematerialized audition, be re-placed within the crepuscular territory of sound, reversing the domestication of vocal sound whose history is at once consummated and veiled by oral signification? In thinking about a respatialization of the voice—that is, a reinstating of the voice in its physical and spatial reality as sound-trace—we must immediately guard against the illusion of an autonomous sonorous materiality. As soon as it becomes audible, sound is always freighted with at least the potentiality for making sense.6 Even in animal vigilance, the unknown is already figured as potential threat. In other words, although certain auditory signals may invite us into asignifying semiosis, there can be no experience of a conceptless materiality of sound; and any practice that claims to deliver such a thing merely becomes an idiom that cultivates a certain convention of listening and simultaneously tries to dissimulate its conventional nature. This indeed is often how ‘noise’ practices use sound: employing deliberately extreme measures to make us a helpless patient to the massive materiality of sound, they seek to open up a direct relation to the sonic that undermines the symbolic and subverts the hegemony of the discursive. Yet, as Mattin has repeatedly pointed out, at a metacontextual level this is invariably a vehicle for the reinforcement of quite habitual social and subjective positions on the part of performer and audience alike.7 The situation is worse when the voice is involved, for ‘noise’, unless it simply pushes to parodic ‘extremes’ the subjectivating power of language (provocations, insults, haranguing), seems forced into choosing between a number of equally unsatisfactory alternatives: recourse to sub-linguistic usages of the voice (howls, screams, grunts), ‘breaking’ language by processing speech in a manner indifferent to its signifiant capacities (machinic stutterings, extreme time-distortion, undecipherable vocal noise), etc.. Here the signifiant and subjectivating dimensions of the voice are precipitately abandoned, in performances of subversion which, imagining a utopian preserve outside of language, leave it untouched, also falling short of the insane deterritorializations of everyday capitalism. They blithely disavow the conceptual and social frameworks that are always involved in (even ‘extreme’) listening. The paradox is that, given the nature of performance and the self-volunteered audiences for ‘noise’ or ‘experimental’ practices, perhaps one cannot even imagine a performance set-up that would mobilize vigilant and fearful listening in as compelling a manner as the mechanisms of technologically-mediated social interaction that have become a part of our lives. Practices of listening depend upon repetition and reinforcement, and in the case of social media these practices become addictive through their integration with the archaic residues of our spontaneous sense of self. 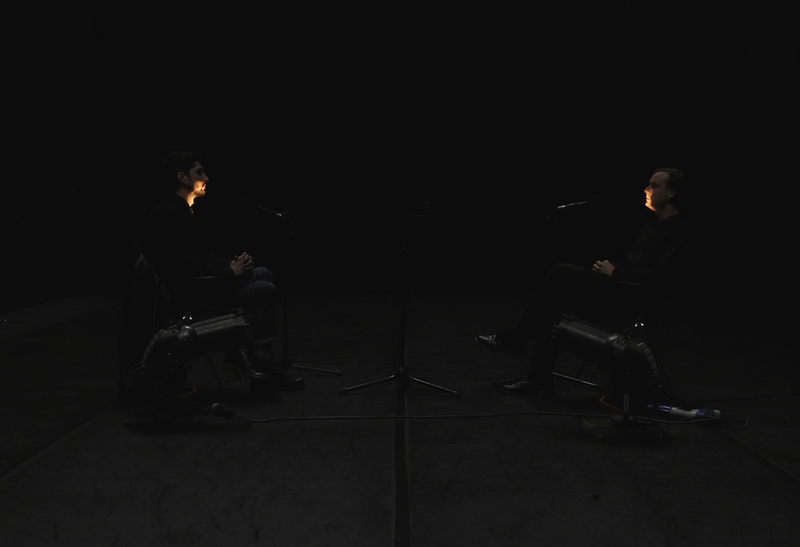 Performance and the mode of listening related to it can rarely achieve such inculcation, and are more likely—whether before, after, or during—to be reflexively reinscribed within narratives that reinforce subjectivity, albeit in terms of break or rupture (‘I was there’, ‘I totally lost myself in the sound’, ‘the experience really affected me’). An attentive listening to the voice supplements signification with sonic texture, so that the ‘outer’ voice qua sound, sited in a certain body and space, speaks to us of things of which the inner voice of signification knows, or wishes to know, nothing. We should note right away, in accordance with the caveats issued above, that attending to the ‘grain of the voice’ can never be a question of a listening stripped of all conceptual presuppositions: even perceiving in the voice of an unknown interlocutor the traces of a personal history presupposes a number of interpretative principles concerning the nature of personhood. Could we practice hearing these signs of personal history within our own voice, thus creating a distance between our ‘inner’ self and a voice heard as a contingent bio-graphism? Such a practice would be both an ‘unlearning’ of the spontaneous reception of the voice and a work of the concept in order to reterritorialize its sound within a new conceptual space. The gap opened up between speech and hearing, in disrupting the immediacy of hearing-oneself-speak, would then induce a kind of instantaneous amnesia that rendered one’s own voice alien, or eerie (‘[f]ugues, losses of memory, are fundamentally eerie. But with the eeriness of amnesia the unknown thing from the outside is you’).9 This voice would come from a body that is not the phenomenological body (which is constitutively an ‘inside’) but a body objectivated in thought and become exteriorized even as it says ‘I’. This must indeed be a practice and not a performance. 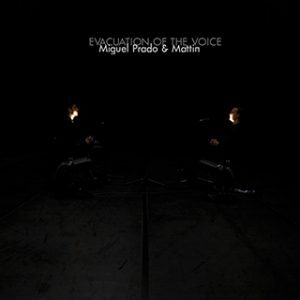 Listening to another attempt it is a different proposition—although what is intriguing, in hearing Miguel Prado and Mattin perform this practice, is to wonder whether it succeeded, and, if so, what it is that we are hearing. Situated as we are at the point where geotraumatics becomes cryptography or signals analysis,11 it would still be a voice, yet the agent, having changed their conception of what can have a voice, would no longer be speaking for, or hearing, himself. If the experiment succeeded (and this would require on our part both a conceptual effort and an effort of listening), we would be hearing the interscape between discourse and the body of the earth. Rather fanciful, of course, to imagine that, like Professor Challenger, we could straightforwardly ‘hear’ the earth scream, hear the ramified strata of cosmic drama, geology, and biological evolution speaking in their own voice: a type of magical thinking common to art projects that claim that, in presenting raw ‘objects’, the artist allows them to speak for themselves, thus giving us direct access to a nonanthropomorphic materiality. The practice we are describing would have to be instead a kind of forensics—which involves a purposive stance and conceptual presumptions, a methodical progression, and produces a certain audience (the forum) at the same time as it makes the object speak (or, in this case, makes speech an object). This would certainly mean that the practice of listening was being injected with a good deal of ‘theory’, something that may be unwelcome and onerous to those who want to be assaulted with ‘pure sound’. But precisely what is at issue here is an uncommon articulation of theory and practice, since the counterpart of this necessary injection of the conceptual is that the conceptual is impotent without practices (which is why theoretical critique of capitalism can never exceed the level of a kind of indignant leisure activity). As we described, capitalist subjectivation mobilizes both the scientific and the manifest image, knotting and articulating them in an unprecedentedly dominating fashion through appeals to the known and recognized, and through the inculcation of repetition-compulsions. We can further identify that it does so by allotting them different roles within an integrated machine while at the same time maintaining their separation (exactly the meaning of a ‘double-bind’): science and technology are understood as functional and operatory: they make things work, but things that are so complex that their mechanism is opaque to experience, and whose interfaces are smooth enough that we don’t need to think about them; on the other hand, the manifest image serves as a readymade conceptual framework for self-understanding, so immediate that it seems to repel functional analysis. What gives capitalist subjectivation the leverage to operate this integration-separation is precisely the fact that we find it difficult to harmonize the theoretical image of an indifferent universe commanded by mechanism with the self-evidence of our life and personhood; and that, believing it would be necessary to attain this reconciliation in order for it to make a difference to our selves, we default to interiority—thus giving free reign to capitalist subjectivation, which is quite able to operate without achieving the chimerical ‘harmony’ we dream of. Such a dream is shared by those who attempt an extreme ‘breakthrough’ to some kind of unmediated reality, who try to bring forth a compelling sensory experience of an escape from social subjection into the raw material itself: at best they produce intervals during which the impossibility of doing so is demonstrated spectacularly, again and again, and take some pleasure in throwing themselves and their audiences against this transcendental brick wall. The alternative option pursued here is to reverse the terms: conceptualizing the self through the concepts provided by a theoretically concatenated series of scientific narratives (geotraumatics), disconnection from self-certifying experience is accepted as a given from the outset. Meanwhile, rather than aiming to violently obliterate the manifest image, its self-evidences are used as a starting point, and employed as a functional machine, a carrier, for the process. A gradual, subtle modulation will subtly tip the enchanted nonspace of subjectivity into the abyssal space of the production and inscription of sound. The interregnum thus opened up, between the suspension of any expectation of experiential satisfaction and the experimental practice of theory, is not devoid of affect. Circulating here, for the audience and perhaps for the participants too, are sentiments attendant upon real experiment: embarrassment, a sense of the ridiculous, boredom, irritation, a mild hysteria, futility (even a strange hint of sorrow), cognitive disorientation, fatigue, a nagging hunger for normality, an awakening of memories of infantile play as we hear the tongues of the performer-practitioners in search of a deeper atavism, twisting and probing in search of a crack in the surface of their language. But then, given the impossibility of actually reversing upright posture, disassembling the larynx, unfolding the body, deterritorializing the planet, aren’t these responses indicative that the most immediately stifling strata—the accreted layers of civility, reasonable behavior, and social subjection—have been disturbed? The first task of schizoanalysis or geotraumatics. Unearthing an asignifying semiotics that already inhabits the intimacy of the voice, perhaps this archaeology of speech, this discovery of a subterranean complex of continuous variation and cuttings—howls, groans, and clicks—will allow speech to ‘escape in the direction of numbers’12 that are not yet marshaled by the program of machinic enslavement, at the same time leading the voice that continues to say ‘I’ not to its immediate ruin, but at least into new territories, new relations. This is how theory, just talking about it, transforms into doing it—given practice…. See Deleuze and Guattari, Anti-Oedipus, A Thousand Plateaus. For a lucid discussion of subjection and machinic enslavement see M. Lazzarato’s Signs and Machines, tr. J.D. Jordan (Cambridge, MA: MIT Press/Semiotext(e), 2014). F. Nietzsche, Daybreak: Thoughts on the Prejudices of Morality, tr. M. Clark, B. Leiter (Cambridge: Cambridge University Press, 1997), 253. On this and other modalities of listening, and the distinction between the sonorous and the audible, see François J. Bonnet’s subtle and penetrating analysis in The Order of Sounds: A Sonorous Archipelago, tr. R. Mackay (Falmouth: Urbanomic, 2016). J. Derrida, Of Grammatology, tr. G.C. Spivak (Baltimore, MD: Johns Hopkins University Press, 1998), 20. See Bonnet, The Order of Sounds, chapter 2. See e.g., the texts in Unconstituted Praxis (A Coruña and Brétigny-sur-Orge: CAC Brétigny/Taumaturgia, 2011). Quoted in Roland Barthes, ‘Listening’, in The Responsibility of Forms [L’obvie et l’obtus], tr. R. Howard (New York: Hill and Wang, 1985), 245–60: 255–6. Barton and Fisher, ‘On Vanishing Land’, 277. On geotrauma, see N. Land, ‘Barker Speaks’, in R. Mackay, R. Brassier (eds), Fanged Noumena: Collected Writings 1987–2007 (Falmouth and New York: Urbanomic/Sequence Press, 2011), 493–506; R. Mackay, ‘A Brief History of Geotrauma’, in Leper Creativity: Cyclonopedia Symposium (Brooklyn, NY: Punctum Books, 2012).